Norman Cousins was a journalist who at one time was editor-in-chief of the Saturday Review. Following a serious illness that doctors thought was unlikely to be cured, he took measures in his own hands. He believed there are important connections between our emotions and our health. Quite a few years ago (long before I was a caregiver). I read his book Anatomy of an Illness as Perceived by the Patient. In that book he describes his own treatment that involved massive doses of Vitamin C and watching films and TV shows that contained a lot of humor. A known optimist, Cousins is quoted as saying, ten minutes of “belly laughter” would give him two hours of pain-free sleep. As an optimist myself, I’ve always been interested in his approach to emotions and healing. Until Kate was diagnosed, I didn’t think about stress. Since then I have been reminded of Cousins and tried to apply his general principle to our situation minus the Vitamin C. <g> My initial focus was a joint one. Kate and I wanted to take advantage of our time together. We talked about the things that we had always enjoyed together and committed ourselves to doing more of these things in the future. Some might even say we have taken a “binge” approach to the performing arts. These include attending live theater productions (locally and in other cities), operas (mostly local but some out of town), other musical events from Willie Nelson to Renee Fleming, time with our closest friends (several of whom live out of town), and eating out for all our meals except breakfast. It has been seven years since Kate’s diagnosis. I would say she is in the early to middle portion of Stage 6 of the 7-Stage Model. Although life for us is always changing, we’ve had, and still have, fun together. 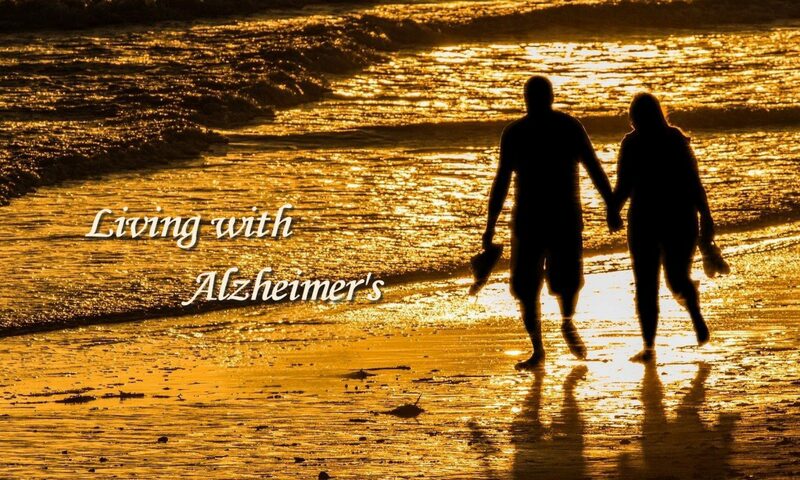 I believe our approach to living with Alzheimer’s has worked for us. I also believe that it has played a significant role in minimizing my stress. (Note that I say minimizing, not preventing.) I’ll have more to say in later posts.